I serve as liaison to the BBB Wise Giving Alliance, nonprofit information portals like GuideStar, charity evaluation groups, and the Combined Federal Campaign, all on behalf of Partnership With Native Americans (PWNA). Serving for more than a decade in these roles, one thing has become very clear: many donors do not realize there is no shortcut for making wise giving choices. Certainly, there are numerous online rating systems that donors can turn to for quick information on nonprofits. But, here’s the problem: many donors are unaware that there is no one standard for charity ratings. 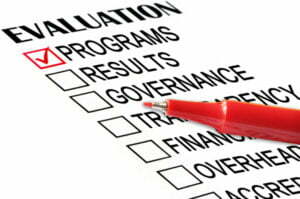 Virtually every charity evaluation group uses a different set of criteria for evaluating and rating charities. And sometimes, charity evaluation groups even adjust the information reported on a charity’s form 990, which is backed by independently audited financials. So which one evaluator can donors safely rely upon for making giving decisions? What’s more, some charity evaluation groups steer donors toward financial information as the sole basis for deciding which charities to support. PWNA applauds GuideStar, the BBB Wise Giving Alliance, and Charity Navigator for rightfully cautioning donors that “the percent of charity expenses that go to administration and fundraising costs – commonly referred to as “overhead” – is a poor measure of a charity’s performance,” and instead steering donors to weigh the whole picture when decision making. You can learn more about this in their joint Overhead Myth letter issued in 2013. Our organization assists donors by voluntarily adhering to the BBB’s 20 Standards of Charity Accountability and referring them to PWNA’s BBB-accreditation report. On the PWNA website, we publish annual reports and a five-year baseline of outcomes compiled through our annual customer survey to more than 1,000 reservation partners. As a Platinum Exchange Member, we also publish a wealth of vetted information about PWNA on GuideStar. I find GuideStar particularly helpful to donors because it serves as a neutral platform of nonprofit information focusing on every aspect of a charity’s operations, from financial and governance to programs and impact. Because GuideStar houses nonprofits’ information in one place, in a neutral way, they empower donors to research and draw their own conclusions about charities. Even in this age of online charity ratings, the need to make wise giving decisions remains the same. This entry was posted in Humanitarian and tagged BBB, Charity evaluation, Giving decisions, GuideStar, nonprofits. Bookmark the permalink. Trackbacks are closed, but you can post a comment.